If you would like to find out more about Maggie’s, have a fundraising idea but aren’t sure how to get it going or have fund raised for us before, everyone is welcome! If you haven’t visited the Centre before this is a great chance to pop in and find out more about Maggie’s and the support that we provide. You will also have the chance to try a relaxation taster session! Call Megan on 01224 612 914 for more information. No booking necessary. We will be holding Supporting Maggie’s sessions throughout the year so if you can’t come along to this one just get in touch. #WeCanICan World Cancer Day 2017 will explore how everyone – as a collective or as individuals – can do their part to reduce the global burden of cancer. Just as cancer affects everyone in different ways, all people have the power to take various actions to reduce the impact that cancer has on individuals, families and communities.World Cancer Day is a chance to reflect on what you can do, make a pledge and take action. Whatever you choose to do “We can. I can.” Make a difference to the fight against cancer. Description: Our monthly gamescafe for ages 12 and up. Tuck shop. Come along and play board and card games. Thanks to a donation from Culter Gala we have some new games this month. Bring along your favourite game to play. Price: Entry £1.50 Adults. Children free. Description: SAVVY SHOPPERS Shop smartly, be savvy and save. Find everything you need for baby and children up to 9 years of age, all under the one roof, all on the same day. Whether it’s large items from our Large Items Gallery, or clothes, toys, and equipment from our quality nearly-new stalls, you’re guaranteed to find what you’re looking for – why pay more when you can pay less – now that’s being smart! Price: Usual admission prices apply. Description: Dive into the depths of the ocean and see what you can find – starfish, lobsters and deep sea fish. It’s an amazing life beneath the waves! Description: Please join us for the official launch of the Breastfeeding Welcome Scheme in Inverurie and the relaunch of the Inverurie Breastfeeding Group. Join us for some tea, coffee & cake to learn more about the scheme in Inverurie & how we can support you through all aspects of your breastfeeding journey. Description: Adults chance to come to a special evening Lego club session. Children must be accompanied by an adult. Tuck shop will be open. Description: Join us for an informal catch up over coffee at Starbucks, Union Square on Tuesday 7th February from 8pm. Learn about what’s been going on in your local branch, the events planned for the year ahead, and how you can get involved. Babes in arms/slings are very welcome. 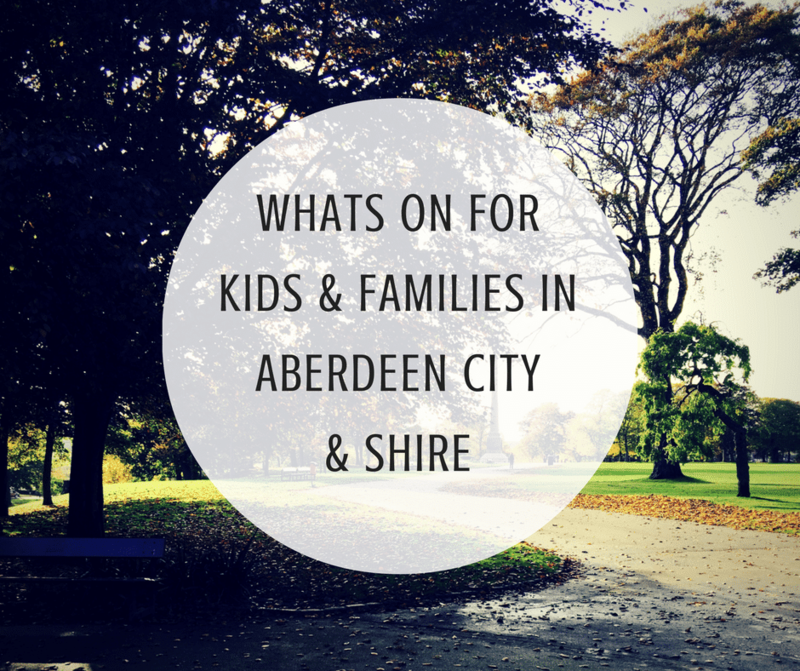 Email aberdeen@nct.org.uk for more information, or pop us a pm on Facebook! Description: It’s our February sling meet! As Winter will be (hopefully!) drawing to a close, we are inviting you to join us for sling chat, hires, help with your own carrier and demonstrations. Older siblings as always are welcome and we have more space as we have moved downstairs to the sanctuary of the church! And as always, there will be lots of tea, coffee and cake! Description: Join us for the opening night of SPECTRA, Aberdeen’s Festival of Light, as it returns for its 4th year, running from 9 – 12 February 2017. This year, SPECTRA will be across even more sites with artwork installed across Union Terrace Gardens, St Nicholas Kirkyard, St Nicholas Rooftop Garden, Marischal College and Seventeen. Featuring artists from all over the world and across Scotland, SPECTRA will show the city in a new light with innovative and interactive art that can be thought provoking and great fun. See stunning photographs of unseen parts of Aberdeen, a giant cloud made up of hundreds of individual floating bulbs, huge fiery heads, Marischal College turned into a colossal musical instrument complete with laser light show, and a host of other exciting pieces. Head to www.spectraaberdeen.com for the full programme and information on all the sites. UTG open 6.30-10pm, all other sites 6.30-9.30pm, last entry 30 minutes before close.